Most Rockford, MI dental patients know that cosmetic, restorative and orthodontic dentistry procedures improve your teeth. 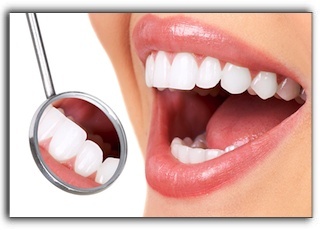 There are treatments to reshape teeth, straighten teeth, repair damaged teeth, whiten teeth, and replace missing teeth. But what about your gums? Do you realize how integral your soft tissues are to the overall appearance of your smile? The shape and size of your gumline can make your teeth appear too large or too small or otherwise out of proportion. Gum contouring can correct gums that appear too low or too high in relation to the teeth and design them for the perfect smile. Grand Rapids dental patients who are unhappy with their gums might want to think about gum contouring. Dr. Stewart and Dr. Hull at Stewart & Hull Aesthetic & General Dentisty offer gum contouring surgery. This procedure is also called gingival sculpting, gingival contouring, or gum graft surgery, but don’t let the term surgery frighten you. It is performed with a precision laser and is minimally invasive. The procedure usually involves very little pain and requires no recovery time. If you are seeking more details about gum contouring or any other dental procedure, call Stewart and Hull Aesthetic and General Dentistry today at 616-784-2377 to schedule a smile redesign consultation.